This rising musician, actress, and entertainment mogul wants to normalize queer characters. Charmaine Bingwa is one of those rare humans whose energy seems to vibrate on a higher level than most of us, leaving us mere mortals feeling like we are moving in slow motion through molasses in comparison. 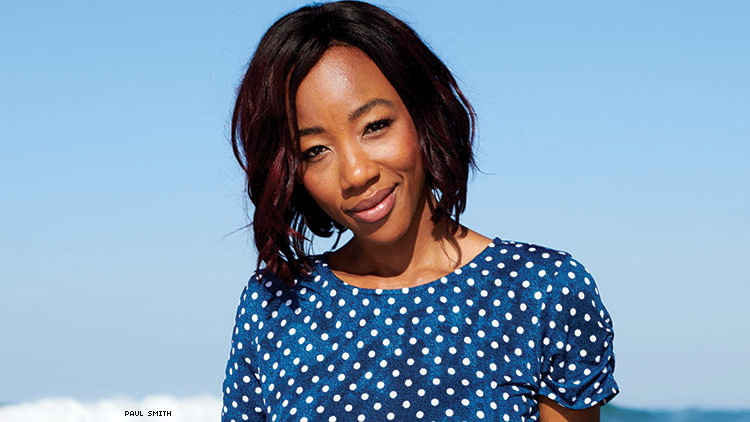 At 33, the Australian-Zimbabwean has already earned mad respect as a stage performer, launched her own production company, and created an award-winning new web series, Little Sista. Though the multitalented, out and proud lesbian with an infectious charm also sings and plays guitar professionally (she’s played with artists like Demi Lovato and Fifth Harmony on their tours Down Under), it was her critically-acclaimed performance last year as Mrs. Muller in an Australian stage adaption of Doubt that put Bingwa on everyone’s radar. The ambitious young talent is involved with a dizzying number of projects. In addition to her career-making moment in Doubt, Bingwa also took the stage in five other productions over the course of a year, starred in two recent feature films (including the thriller Nekromancer, costarring Monica Bellucci), and created, wrote, produced, and starred in Little Sista — a seven-episode web series about a somewhat irresponsible, commitment-phobe young lesbian who suddenly takes on mentoring a little girl in the Big Brothers Big Sisters program. Bingwa says her intention with the series was simply to promote diversity. Born in Australia to Zimbabwean-immigrant parents, she says it wasn’t always easy being different there. As she grew into adulthood and became a working actor, Bingwa was struck by the continued lack of characters and roles that resembled herself or those like her in any way, (queer people of color leading relatively normal lives). This prompted her to add writer and producer to an already impressive list of credentials. “Unfortunately, there’s still a bit of catch-up in Australia in terms of diversity,” Bingwa says. “I think a 2016 [Australian] statistic was that there are only seven percent of lead characters who are of non-European background” — a number she’s hoping to change with Cha-Bing!, her cleverly named production company. It seems to be working, with Little Sista receiving well-deserved recognition and praise: the series was a recipient of the 2018 Queer Screen Completion Fund and won Best Screenplay at the 2017 LGBT Toronto Film Festival.